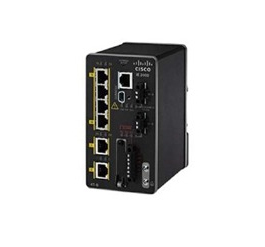 The Cisco® Industrial Ethernet 2000 (IE 2000) Series is a range of compact, industrially ruggedized access switches. IE 2000 series provide customers with ease of use, secure access, and industry leading convergence using Cisco Resilient Ethernet Protocol (REP). Multiple industries such as automotive, oil and gas, mining, transportation, and energy companies are all increasingly requiring IP based networks in their production areas. The newest IE 2000 additions have been designed to support access layer connectivity and to meet the increasing needs for security, voice, and video traffic across industrial networks.